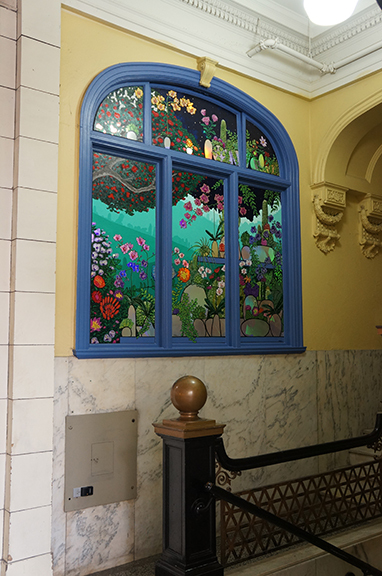 5th Street Arcades needed a mural that could engage passersby and bring people inside. We created a massive holographic painting that fit inside a shop window entrance, masking the kitchen on the other side. 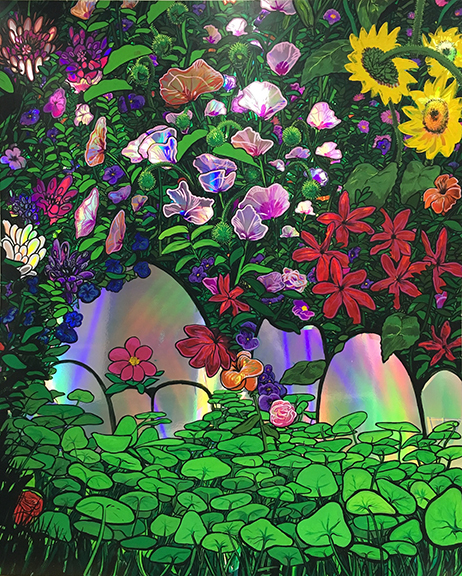 Kaleidoscope Garden is an interactive mural that changes color and shape with shifts in light and perspective. It is now an iconic part of 5th Street Arcades, and frequent inspiration for spontaneous dance. 12 panels, custom-sized, approximately 350 sq. ft.
Acrylic and permanent ink on holographic paper and masonite.